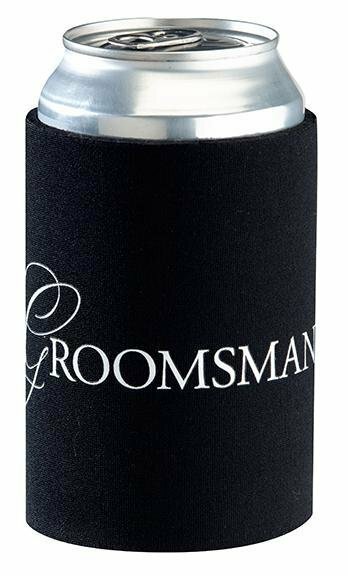 This black neoprene wedding stubby cooler measures 4 inches tall and has a 3 inch diameter. It fits a standard sized soft drink can. 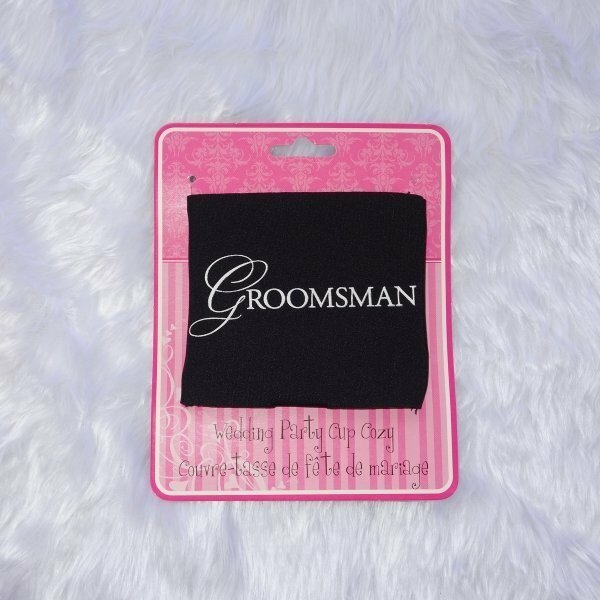 The word 'Groomsman' is silk screened in White on one side. Use at bucks party or on display at your wedding reception. 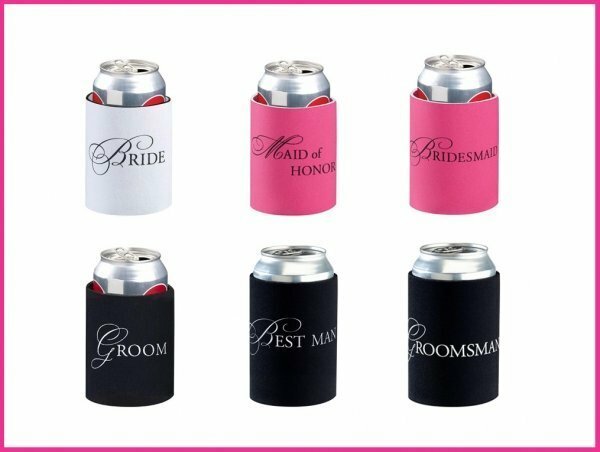 Great affordable gifts for your bridal party! 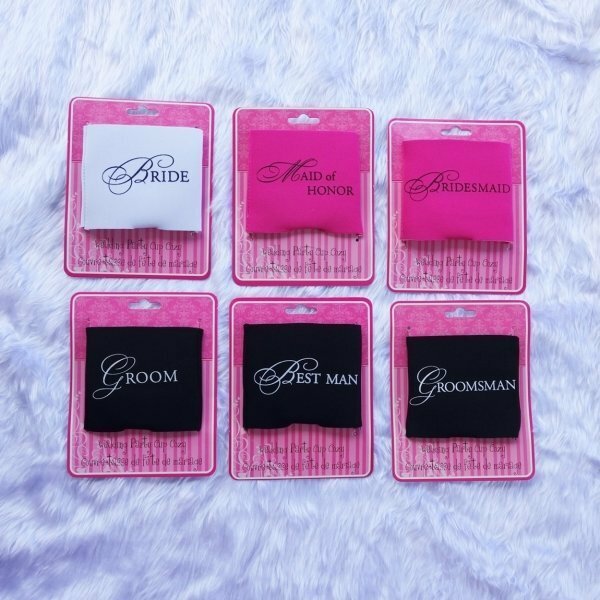 Also available in Bride, Groom, Best Man, Maid of Honor & Bridesmaid.